Monica reaffirms her commitment to BJason. Sam lets SJason into the penthouse. Scout starts to cry, so Sam gets her and introduces her to SJason. He&apos;s glad that she has a family and is happy for her. SJason explains about the Russian clinic and how Ava helped him escape. 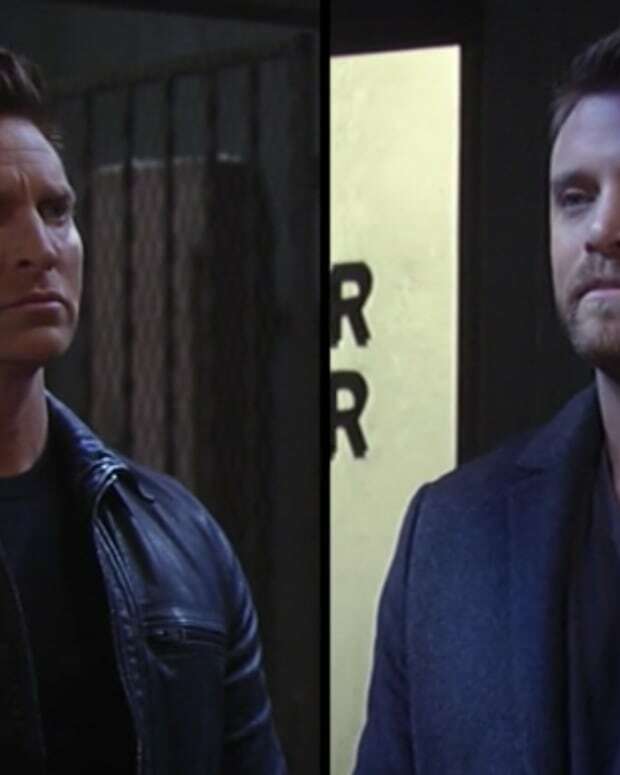 Sam gives a rundown of Julian being her father and all the horrible things he&apos;s done to Alexis. 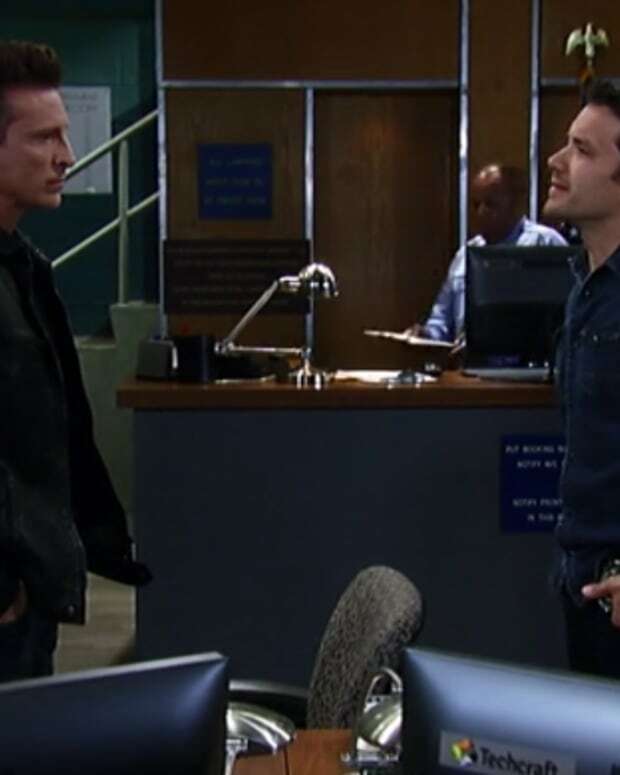 Jordan wants to know why Sonny bailed Klein out of lock up, but in typical Sonny fashion, he&apos;s not giving up much information. CarSon both ask about the DNA results, but Jordan doesn&apos;t have them yet. Sonny tells Jordan the boss called Klein and the call came from PC. Jordan wants the phone to build her case against Klein, but since Sonny&apos;s a tool, he refuses to give her that too. Ava&apos;s optimistic the flash drive will be the answer to heal her. Kiki&apos;s the voice of reason, which Ava is not interested in. Ava worries that Griffin will tire of her scary face and stray, but Kiki doesn&apos;t believe that. Alexis shows up, so Kiki takes the flash drive and leaves. Alexis tells Ava that Julian&apos;s in trouble and she wants the Jerome family to fix it. Ava says she&apos;s out of the business. Monica finds BJason hanging out in the Quartermaine crypt. BJason swears he&apos;s really her son and Monica says he always will be. BJason says there might be another son and explains about the twins. He says he&apos;ll find answers and Monica promises to be there for him. Carly feels she betrayed BJason with how she treated him since this all started. She feels he&apos;s still their friend and Sonny agrees they need to bring him back into the loop. Kiki heads to the hospital and shows Griffin and David the flash drive. Both agree that the work is untested and could have side effects. Neither believe they should get involved with this treatment. Ava arrives and Griffin tells her that he doesn&apos;t think it&apos;s a good idea to gamble with something that hasn&apos;t been approved. Ava wants Griffin to do the surgery. When Sam leaves the room, SJason picks up a fussy Scout and talks to her about his past with Sam. BJason arrives and warns SJason to put down the baby or die. Sonny and Carly show up and it&apos;s all awkward. Sam decides this needs to be dealt with, then Jordan arrives with the DNA results.